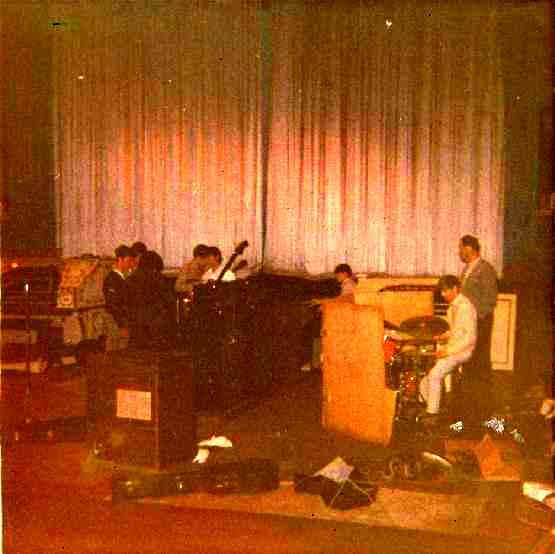 This is a rare shot of the inside of the Sparta Great Lakes recording studio form 1966.Tonto and the Renegades with David Kalmbach, the engineer at Great Lakes. 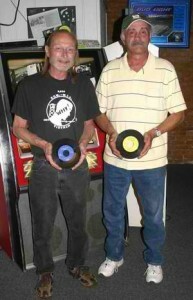 Gary is holding our first record with the yellow label. 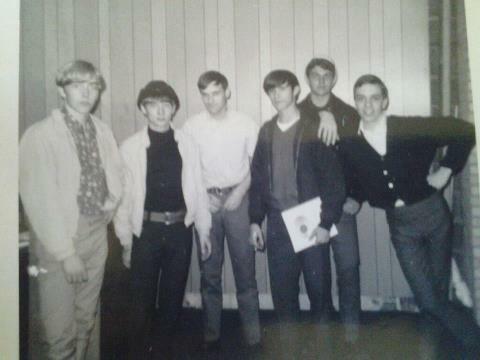 Pictured left to right: Terry, Tom Kirby, Dave Kalmbach, Gary (front), Bill Ford (back) and Jeff Keast. 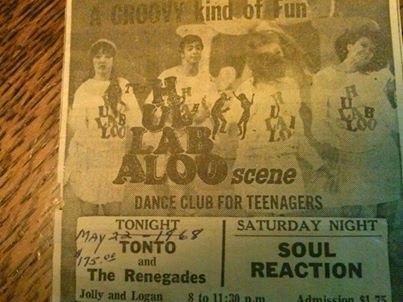 Hullabaloo Scene poster of Tonto and the Renegades – May 22nd, 1968 making $175.00 that night. Bye Tom! We’ll miss ya. RIP! SIGH! I di not create the logo, only a vaiation of the original. The original drumhead logo was created by Den Preston of Lansing. 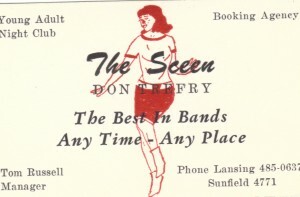 Den has done several band logo’s, but ours was his very first. In the original, the Indian is holding a TomaHawk which I changed to a Peacepipe with smoke siginals. I suppose I can get away with a little artistic liberty. Ha, I tal like I can paint or am an artist. But, thank you for posting this. I think it’s one of the neatest logo’s ever. 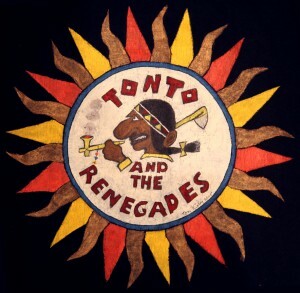 Tom Kirby of Tonto and the Renegades supplied some of his very cool Tonto logo/ artwork recently. Check it out on the Tonto and the Renegades page! Thanks you for the kind words, Mike. 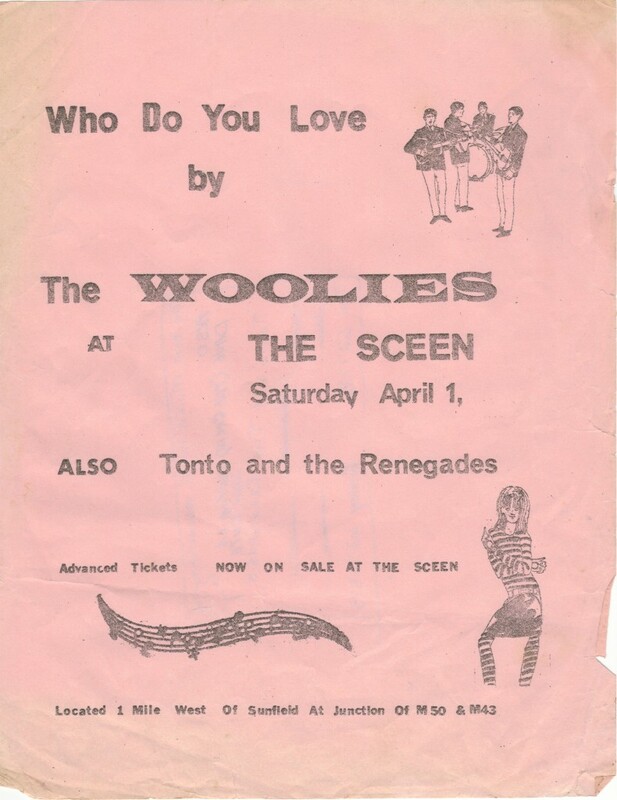 The 60’s were the most exciting time in musical history. I am proud to have been a part of the music revolution/evolution which occurred during that era. The song you mentioned is the number 14 all time Legendary Song by a Michigan Artist and has been inducted into Michigan Rock And Roll Legends. It is truly an honor to have been a part of a band and the song which played a small part in shaping and direction music was taking back then. 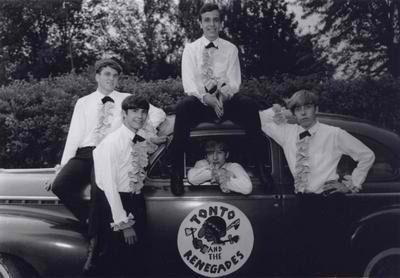 And, thank you Mid-Michigan Music Hysterical Society for keeping the memories, music and the spirit of Tonto and the Renegades alive today for others to enjoy. It’s good to see Tonto & The Renegades represented here. One listen to their four recorded songs proves how talented they were, and they were destined for bigger and better things had fate not intervened. As it is, ‘Little Boy Blue’ is an all-time garage punk classic, and the group will forever be remembered because of it.